Green Roads currently have products in over 2,500 store locations across the United States. They produce top-notch, 99% pure CBD oil made from the best resources possible. Their new daily dose 1000 mg formula is the perfect way to enjoy CBD while on the go. This product is usually used for inflammation, reduction of muscle spasms, diabetes, and stress relief. Each of the daily dose products comes in an oral syringe, marked to make dosage selection and administering the oil easy. One of the great advantages of this is that you don’t need to do the math that you typically have to do with dropping CBD oil. The 1000 mg formula has a pleasant, citrus taste, with the usual hint of hemp that you would expect from CBD products. There is no strong aftertaste associated with this product. The amount of CBD that you receive will depend on how much of the syringe contents you consume. The 1000 mg formula is the middle range of available potencies. The entire 1ml contents of the syringe is equal to 33 mg of CBD. If you are looking for calmness and relaxation, then this is a great product. The oil is quite thick, making it easy to place under the tongue for an extended time. The daily dose 1000 mg formula is available to purchase for $9.99 per serving. The packaging of small doses of CBD in a syringe is always going to cost more than the packaging of larger volumes. Although this is an expensive product, you get convenience, ease-of-use, and you don’t need to do any dose guessing. 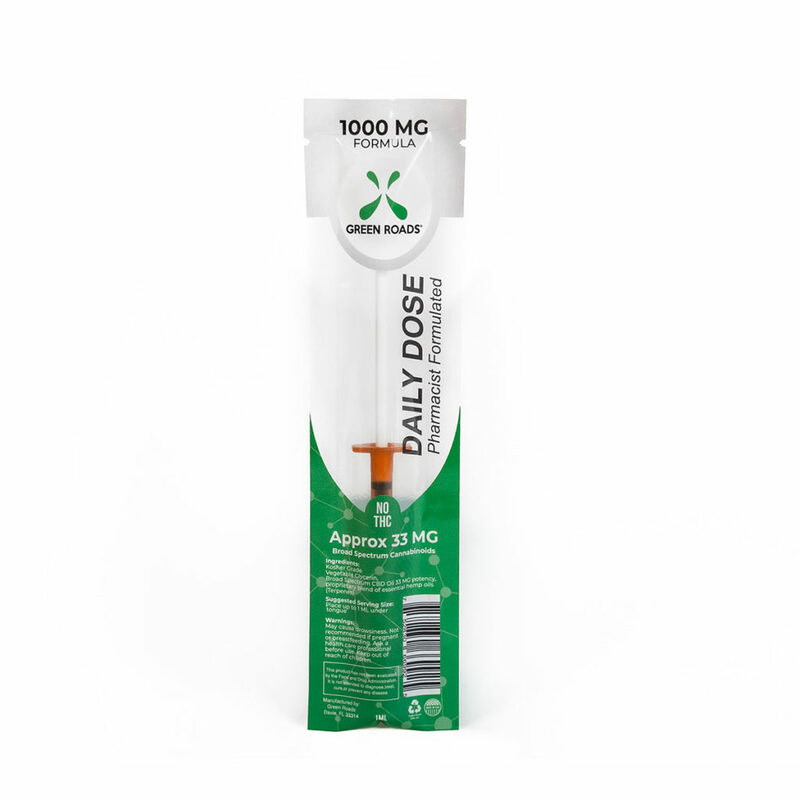 Designed to fit into a busy schedules, the daily dose 1000 mg still provides the high level of CBD concentration that you may be looking for. It’s also one of the most convenient ways to ingest your CBD and there is no need to calculate the dosage since you simply consume what’s in the syringe. Although this is an expensive option, it’s a great option for busy people who would like the convenience of simply consuming CBD as and when it is needed.